SAILING: The 32nd Phuket King’s Cup Regatta was off to a flying start yesterday (Dec 3) with a strong breeze of up to 17 knots, allowing race organizers to hold two races in all classes off the southern part of the resort island. In the top flight IRC Zero Class – for the slick, stripped down racing keelboats – Australian Ray Roberts and his crew on Team Hollywood managed to edge out defending champions Tom and Kevin Whitcraft on their Thai-registered boat THA 72, which was skippered by Don Whitcraft in both races. In two closely-fought races, Team Hollywood won by narrow margins, and the two boats are expected to be engaged in some close racing right up until the final day on Saturday. “We had a great competition in the first race, but not so good in the second race,” said defending champion Kevin Whitcraft. “We’ll have to lift our game in the coming races,” he added. The IRC 1 Class was also a close battle for first place, with Mandrake III coming out on top overall after winning the second race. King’s Cup regulars Nick Burns and Fred Kinmonth finished third on Mandrake III in the first race, but came roaring back to take first place in the second race. Mandrake III leads East Marine Emagine by only half a point after two races, with Loco and Aquarii tied for third place in the IRC 1 Class. 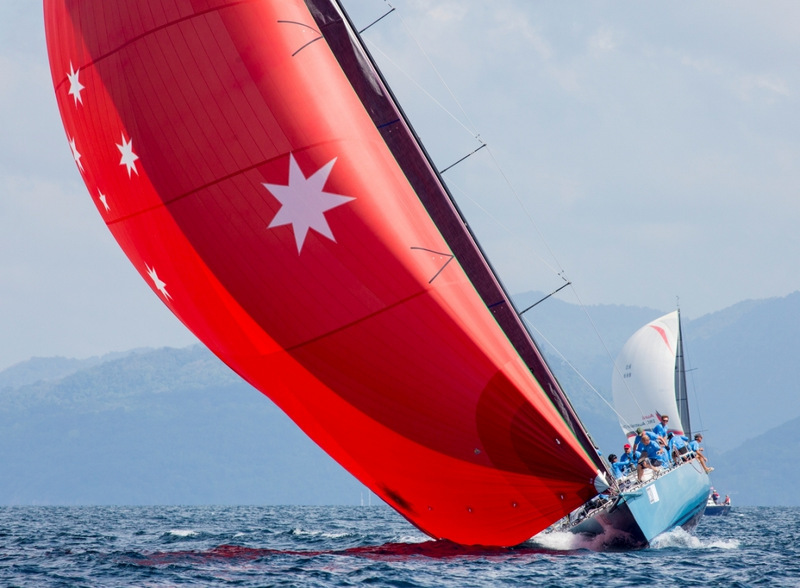 One boat that grabs the spotlight wherever it goes is the 60-foot trimaran SKH Scallywag Fuku Bid, a winner at the recent Raja Muda Regatta in Malaysia, and it did not disappoint on the Andaman Sea off Phuket on Monday. With one of its hulls completely out of the water as it cut through the sea at high speed, leaving everything in its wake, its only real rival was its handicap. However, despite being about to hit almost 40 knots in a strong breeze, the Scallywag crew had to settle for second place yesterday behind Australian Dan Fidock’s Fugazi in the Racing Multihull Class. 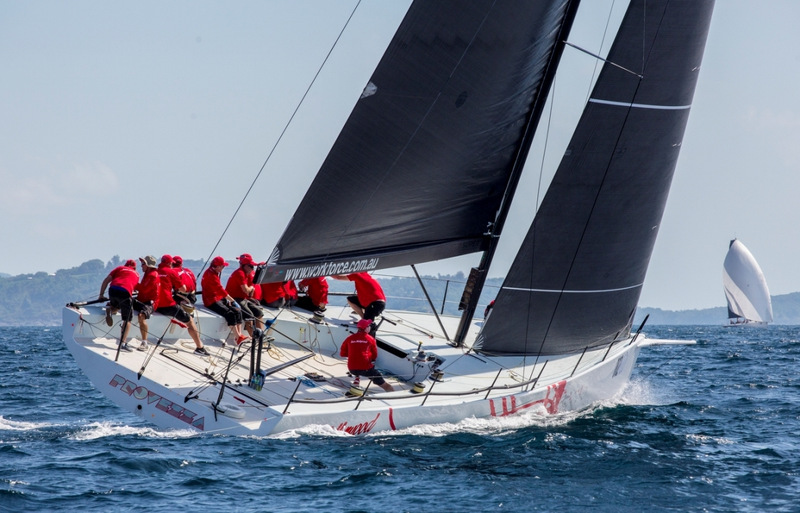 Scallywag was first over the line by a country mile in both races yesterday, but Fugazi also sailed well and once the handicap was deducted from the big boat’s time, the smaller Aussie-helmed boat took the honours. Closer to the shore, the young sailors in the dinghy classes had practices races and honed their skills on Monday in preparation for the start of their opening races on Wednesday in the waters off Kata Beach. 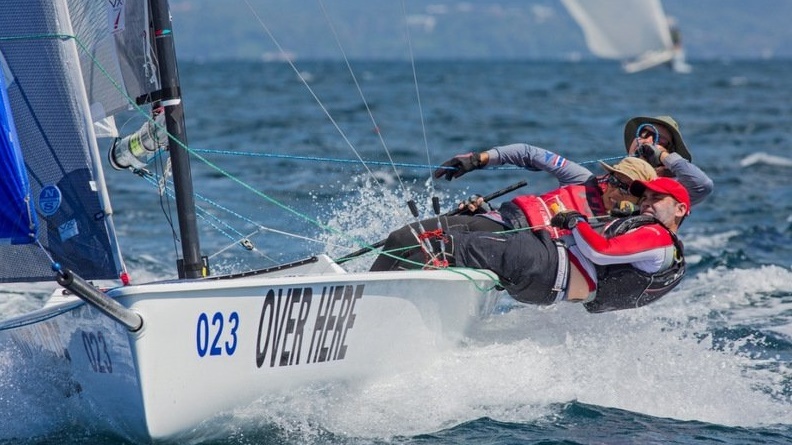 Youngsters from Phuket as well as Sattahip, Pattaya, Koh Phangan, Songhkla and other parts of Thailand will be contesting the Optimist Boys and Girls, Laser 4.7, Laser Radial, Laser Standard and 420 classes, some of them already champions and representatives of the country at international events. These up-and-coming youngsters will one day be aboard the bigger boats racing further out to sea. 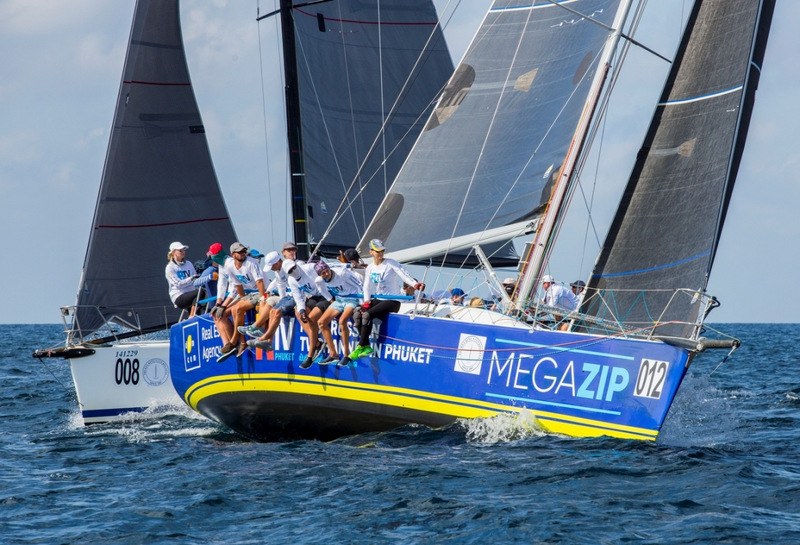 One of the biggest regatta fleets in Asia will take to the water again on Tuesday morning as the second day of racing gets underway in the Phuket King’s Cup, which finishes on Saturday (Dec 8). There are 11 classes of keelboats and multihulls competing in this year’s regatta, which is held off its traditional base at the Beyond Resort Kata at Kata Beach. With the Royal patronage of His Majesty the King of Thailand, the regatta is organised by the Phuket King’s Cup Regatta Organizing Committee under the auspices of the Royal Varuna Yacht Club, in conjunction with the Sports Authority of Thailand, the Yacht Racing Association of Thailand, the Royal Thai Navy and the Province of Phuket.